Two congruent chords of a circle are equidistant from its center. NOTE: Two chords are said to be congruent if they are equal in length. 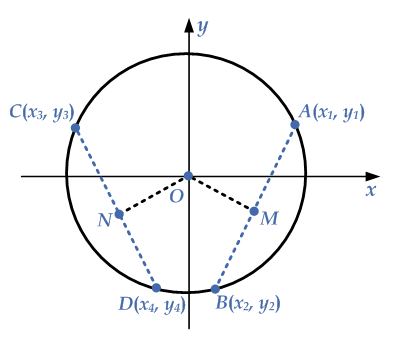 This shows that the congruent chords of a circle are equidistant from its center.